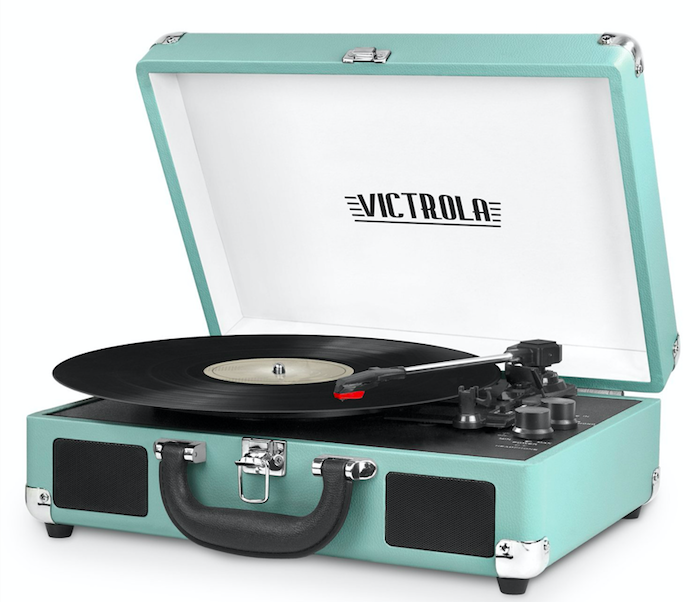 A posh velvet chair, a portable record player, a spaghetti-eating yeti board game, and 20 other things you’ll want to add to your wish list ASAP! 1. A cruelty-free charcoal scrub that wouldn't hurt a fly, but will freaking annihilate your blackheads. 2. A bookshelf with just the right asthetic to make your cookie-cutter condo look like the chic New York apartment of your dreams. 3. A board game to play when you have given up on cooking dinner but still want to be around food. 4. 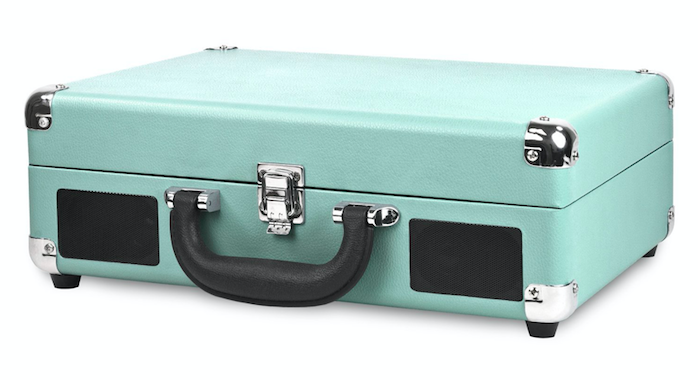 A Steve Madden carry-on you would actually want to carry with you. 5. A picture book that will be the perfect passive-aggressive bedtime story for kids who have been bad all day. 6. A box of 12 bags of seaweed chips, because you are gonna need a low-carb treat to help kick that Flamin' Hot Cheetos addiction. 7. 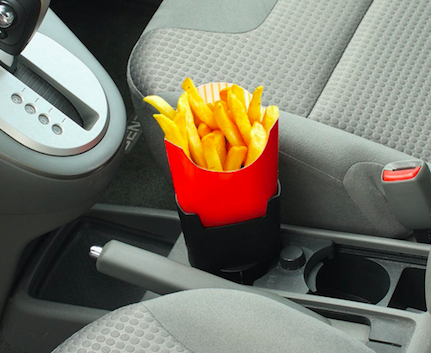 A french fry cup holder is either the most brilliant gag gift you will ever buy, or the best thing that ever happened to the grease-free upholstery in your car. 8. A cross-stitch kit for when you decide you need a hobby other than marathon binge-watching The X-Files (but TBH you could also do this while watching The X-Files). 9. A lotus cotton swab holder that will make your bathroom look like the zen garden you can't afford to put in the backyard. 11. An incredibly cozy cat cave, because if your cats are going to sleep all day anyway, have them sleep in something cute enough for your Instagram account. 12. A collapsable jogging stroller for parenting in the fast lane. 13. A versatile and lightweight blanket cape that will be a year-round staple for the rest of your wardrobe's life. 14. 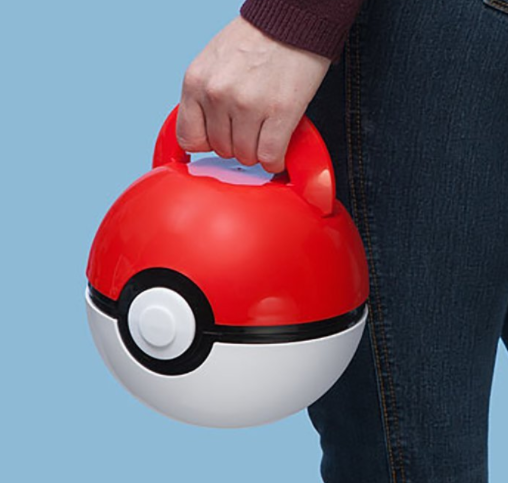 A mystical shoulder bag to remind everyone about your undying love for Sailor Moon, or your newfound love of cat-eared crescent moon accessories. 15. An essential-oil humidifier to use even after cold season is long gone. Promising Review: "This little humidifier really impressed me. It looks REALLY nice and the light settings are a nice touch. I didn't know a humidifier could look so nice. I get compliments on it all the time! I have a rather large bedroom, and it really helps the moisture levels throughout. After I had it going all night, I woke up and it was still on and I felt great. No dry mouth, lips, eyes, anything. I got a set of essential oils for use with this as well, and it works great! My room smells so nice." —Karin J. 16. A retro mini projector that will be perfect for anyone who loves to see movies on the big screen but doesn't actually want to leave the house ever. 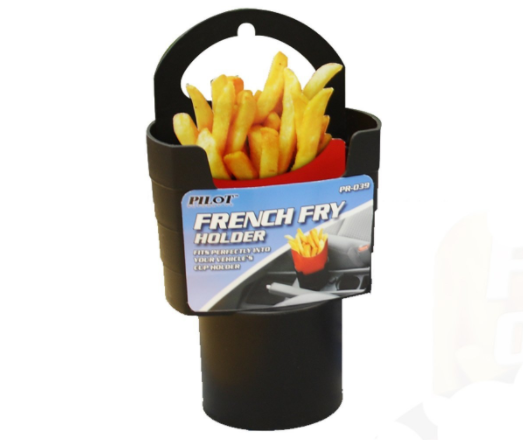 It can connect to HDMI-enabled devices like DVD players, smartphones, laptops, and gaming devices. Promising Review: "I have it hooked up to my PS4 to play games and watch Netflix and the image quality is really impressive, especially because similar projectors usually go for twice the price of this one! AMAZING projector, AMAZING image quality and OUTSTANDING customer service! Definitely the best and most affordable compact projector out there!" —André P.
17. 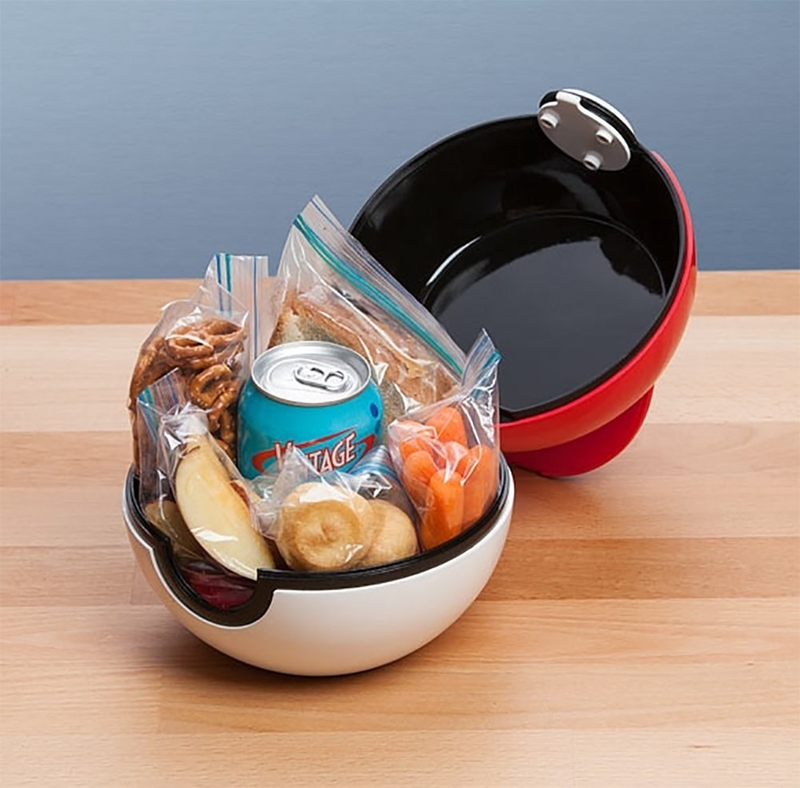 A Pokémon lunchbox for everyone who wishes Pokémon Go was still a thing. 18. A balance bike to help children develop the confidence and balance for a standard bike while giving them the freedom to ride without clunky training wheels. 19. A mid-century accent chair in a posh pink velvet that will give your apartment the '90s-kid touch it deserves. 20. A seriously practical steamer because we both know you're not fitting an ironing board in your bedroom and your linens need some lovin'. 21. A darling vintage-inspired Mason jar measuring cup set to bump up your kitchen decor into Martha Stewart territory. 22. A pocket-sized arcade game — it's the fun-size candy bar of arcades, and it will be the best thing that ever happened to your weekends. 23. A set of five faux succulents for people who can't keep a plant alive to save their life.